From the internationally best-selling author of Fatherland and the Cicero Trilogy--a new spy thriller about treason and conscience, loyalty and betrayal, set against the backdrop of the fateful Munich Conference of September 1938.Hugh Legat is a rising star of the British diplomatic service, serving at 10 Downing Street as a private secretary to the Prime Minister, Neville Chamberlain. Paul von Hartmann is on the staff of the German Foreign Office--and secretly a member of the anti-Hitler resistance. The two men were friends at Oxford in the 1920s, but have not been in contact since. Now, when Hugh flies with Chamberlain from London to Munich, and Hartmann travels on Hitler's train overnight from Berlin, their paths are set on a disastrous collision course. 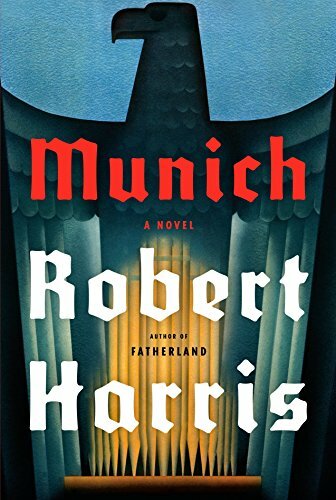 And once again, Robert Harris gives us actual events of historical importance--here are Hitler, Chamberlain, Mussolini, Daladier--at the heart of an electrifying, unputdownable novel. 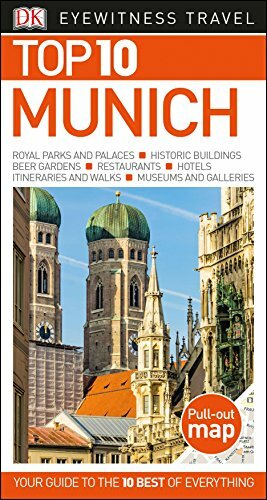 This guide showcases the best places to visit in Munich, from the Englischer Garten and stunning Nymphenburg Palace to the famous Hofbrauhaus and the Pinakothek museums.Easy-to-follow itineraries explore Munich's tourist attractions while reviews of the best hotels, shops, and restaurants in the city will help you plan your perfect trip. 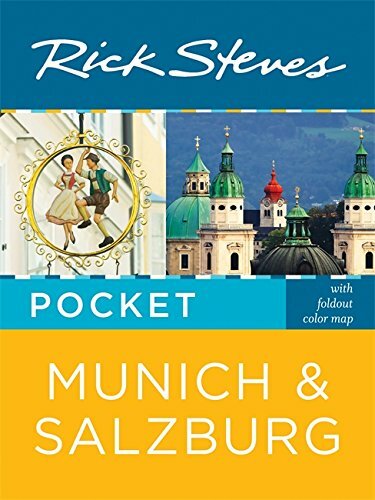 Whether you are looking for Munich's top children's attractions or the city's best beer halls, this unbeatable, pocket-sized companion, packed with photos and maps, insider tips, useful advice, and a laminated pullout map, will be your guide. The perfect pocket-size travel companion: DK Eyewitness Travel Guide: Top 10 Munich. 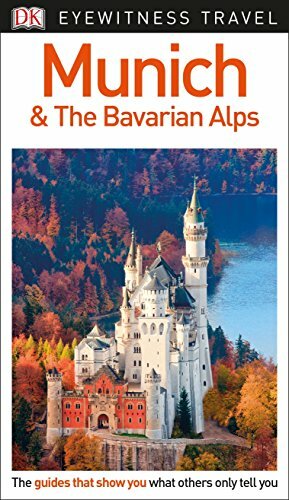 With superb photography, illustrations and maps, this easy-to-use travel guide will lead you through the best of Munich and the Bavarian Alps.From unmissable city sights such as Munich's Englischer Garten and stunning Nymphenburg Palace, to Bavaria's romantic historic towns of Nordlingen and Eichst&aauml;tt, DK Eyewitness Travel Guide: Munich & the Bavarian Alps will show you all of the top sights in this particularly picturesque part of Germany. Learn about the dazzling architecture, stunning array of monasteries and abbeys, and intriguing traditions and German folklore of this fascinating region. There are also practical tips on getting around, along with reviews of the best places to shop, stay, and eat. With hundreds of full-color photographs, hand-drawn illustrations, and custom maps that illuminate every page, DK Eyewitness Travel Guide: Munich & the Bavarian Alps truly shows you this city as no one else can. 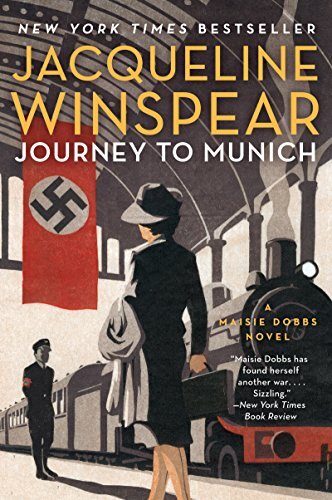 Working with the British Secret Service on an undercover mission, Maisie Dobbs is sent to Hitler’s Germany in this thrilling tale of danger and intrigue—the twelfth novel in Jacqueline Winspear’s New York Times bestselling “series that seems to get better with each entry” (Wall Street Journal).It’s early 1938, and Maisie Dobbs is back in England. On a fine yet chilly morning, as she walks towards Fitzroy Square—a place of many memories—she is intercepted by Brian Huntley and Robert MacFarlane of the Secret Service. The German government has agreed to release a British subject from prison, but only if he is handed over to a family member. Because the man’s wife is bedridden and his daughter has been killed in an accident, the Secret Service wants Maisie—who bears a striking resemblance to the daughter—to retrieve the man from Dachau, on the outskirts of Munich.The British government is not alone in its interest in Maisie’s travel plans. Her nemesis—the man she holds responsible for her husband’s death—has learned of her journey, and is also desperate for her help.Traveling into the heart of Nazi Germany, Maisie encounters unexpected dangers—and finds herself questioning whether it’s time to return to the work she loved. But the Secret Service may have other ideas. . . .